It’s possible that you aren’t familiar with GeBO watches, and if you’re not, it’s not a surprise. The company is fairly new, and the watches don’t really belong in the luxury watches category. In fact, they are surprisingly affordable, and are among the least expensive models in the entire industry. They’re also environmentally conscious, and the company pledges to plant ten trees for every timepiece they sell. That doesn’t exactly sound like a model for making profits, but that’s what they’re offering, along with sassy, affordable timepieces that are great for casual wear. Read on for the full GeBO watches review. The build quality is best described as adequate, though for their intended purposes, the build quality is just fine. 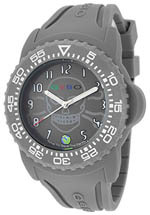 Cases are silicone, and the company primarily uses rubber, silicone and mineral crystal in the design of their timepieces. Water resistance is good to about 30 meters or so, which is adequate, but not great. 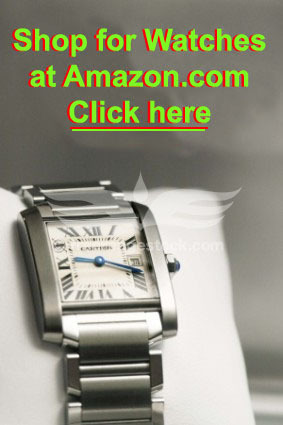 On the other hand, these timepieces are quite affordable, so that’s to be expected. In keeping with their rock-bottom pricing, corners have to be cut somewhere, and the watches are made in China with locally produced quartz electronic movements. On the plus side, this keeps prices down and provides for minimal maintenance, as quartz movements don’t require a lot of upkeep. There’s little innovation to be found in GeBO watches; these are colorful, stylish, affordable timepieces designed for casual wear and bearing nothing in the way of technical innovation. The innovation comes in the form of the company’s commitment to the environment; GeBO stands for “Green Earth, Blue Oceans” and the company is dedicated to environmentally friendly policies. 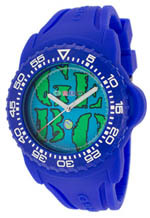 Colors in the GeBO watches product line tend to be bright and bold, with an emphasis on blue. While there is a lot of blue in product line, you’ll also find pink, orange, yellow and just about every other color under the sun. These are timepieces for casual wear; they’d all look awkward with a business suit or an evening gown. Still, they’re fun and sassy and priced so affordably that you might be tempted to buy two or three. There’s no harm in that; it just means that someone will plant more trees. Displays are all analog, but they’re fun and colorful, too. Care and maintenance for GeBO watches is going to be minimal, as they feature all quartz electronic movements and little in the way of moving parts. You’ll want to store your watches in a cool, dry place and keep them away from extremes of temperature and strong magnetic fields. You’ll also want to have the battery replaced every two years or so. Aside from that, you’ll find that these watches are relatively maintenance free and won’t place too many demands on you. We haven’t been able to find any mention of the official GeBO watches warranty, largely because as we write this, the company’s official Website appears to be down. We’ve noticed that every retailer that carries the brand provides a warranty of their own, so you should be covered regardless of what should happen. Then again, these timepieces are so affordable that even if they quit running, you can just buy another one. This brand is among the most affordable in the industry. It appears that their models have suggested retail prices in the $100-$150 range, but we’ve yet to see anyone offering them for sale at such prices. In fact, we’ve often seen them for sale at about $50, and sometimes, quite a bit less. Collectors haven’t shown much interest in the brand, as they tend to shun inexpensive, casual timepieces and particularly those with quartz movements. That means you shouldn’t expect these watches to appreciate in value after you buy them. On the other hand, they’re a great value and they’re priced so affordably that just about anyone can afford to buy more than one, and that means more trees will be planted. You can find the brand for sale at a number of retailers, both offline and on the Internet. Don’t bother looking in jewelry stores, but you will likely find them for sale in a number of department stores. You’ll also find them at a number of Internet retailers, and that will likely represent your best opportunity to buy at a discount. At some online retailers, we’ve seen them priced at up to 85% off, so it would be well worth your while to take a look online. Don’t be surprised if you don’t see everything the company makes at any single retailer, but most should have a decent selection from which to choose. This brand is not going to be of interest to a lot of people. They don’t have mechanical movements. They don’t offer extreme water resistance. They don’t come with gold, or silver, or diamonds. You’re not going to find elaborate complications here. They don’t have any features that will interest collectors. That’s how they are. 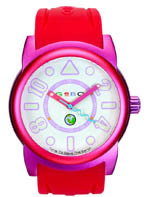 GeBO watches are inexpensive, colorful, casual timepieces designed for people who want to help the environment and need a colorful, eye-catching watch for daily wear. A purchase does help the environment, as the company will plant ten trees for every watch sold. They’re also good for the pocketbook, as they are among the least expensive timepieces we’ve ever reviewed. If you shop around, it’s possible to buy three or even four watches for no more than $100. That’s not only a bargain, but it’s a bargain that will eventually help save the planet. If you’re in the market for an inexpensive timepiece and you value the environment, then buying GeBO watches might be a smart move for you.